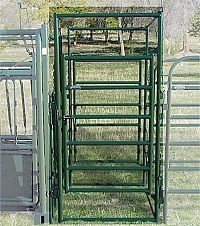 Livestock Management Equipment Handling Equipment Pregnancy Test Gates 34" L x 78" H. Front and rear connectors. 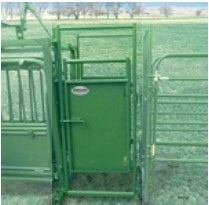 Works with all Powder River chutes. Single bar spring loaded latch locks off the alley, forming a safe workspace.